LIQUITOL®-SU is a vibration and noise-damping, permanently elastic pouring compound used for railways and platforms in urban areas. LIQUITOL®-SU also reliably protects the foundations and fixtures of bollards and gate valves, which are subject to mechanical and corrosive loads. 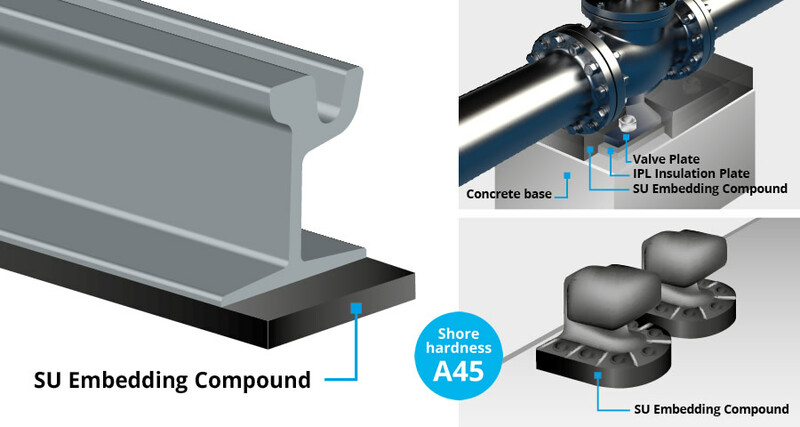 Elastic hardening, vibration damping pouring compound with low shore hardness for rails, bollards and gate valves. 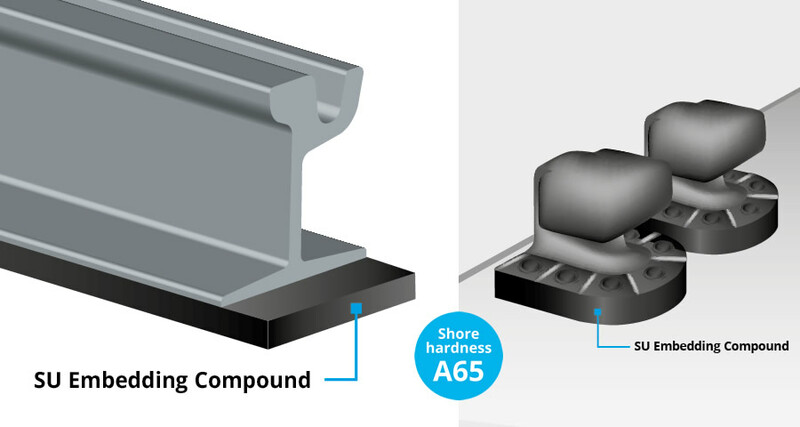 Elastic hardening, vibration damping pouring compound with medium shore hardness for rails and bollards. Elastic hardening, vibration damping pouring compound with high shore hardness for rails and bollards.